Horathapola Estate is a heritage bungalow with its own garden, outdoor pool and restaurant located in Marawila, an hour's drive from Colombo airport. Situated on a working estate which grows coconuts, mangoes, pineapples and spices, Horathapola offers a tranquil stay in a rural location. Enjoy walks around the surrounding estate, take a bullock cart ride or cycle to the nearby village. The bungalow's grandiose architecture is matched with a priceless collection of Sri Lankan antique furniture blending with touches of luxury. 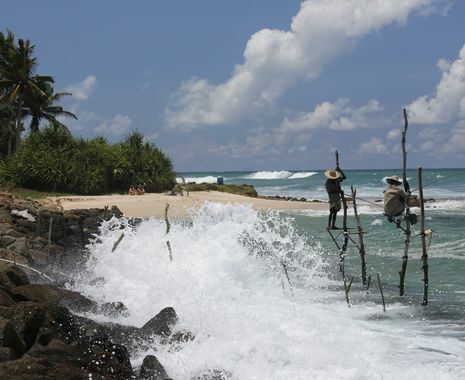 It is an ideal spot to relax at the start or end of a tour of Sri Lanka. Room amenities: En suite bathroom with shower, ceiling fan, air conditioning, private balcony, veranda or terrace.